I haven’t bought a Revlon nail polish in a long time but when I saw Revlon Whimsical and Jaded in one of the blog posts, I know I have to get my hands on them, too. There was no Jaded at the drugstore but I was giddy with excitement when I saw Whimsical! 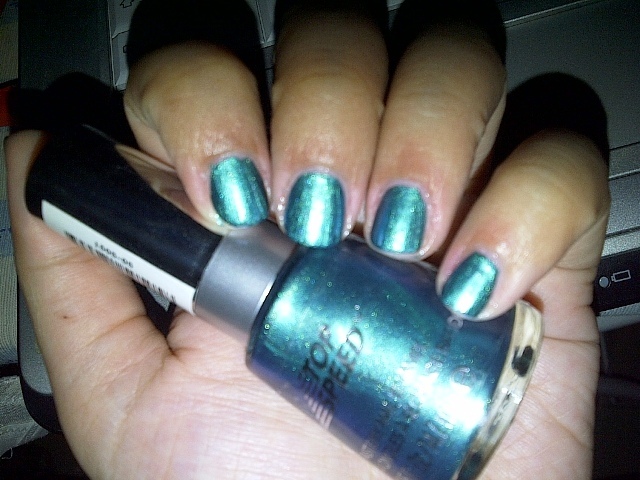 I got Whimsical and other nail polish colours as well as Revlon Top Speed Fast Dry Enamel Ocean (that’s a mouthful!). 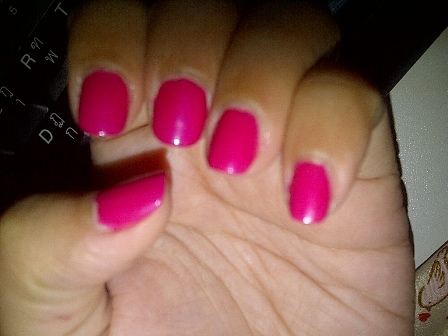 Description: Revlon Top Speed Fast Dry Enamel has “a built in top coat which delivers a salon smooth finish. Available in 32 cool colors that set in 60 seconds”. I don’t own and haven’t really tried a dark green nail polish on my finger nails , especially for work, but since I’m on a holiday, I decided to give it a go. 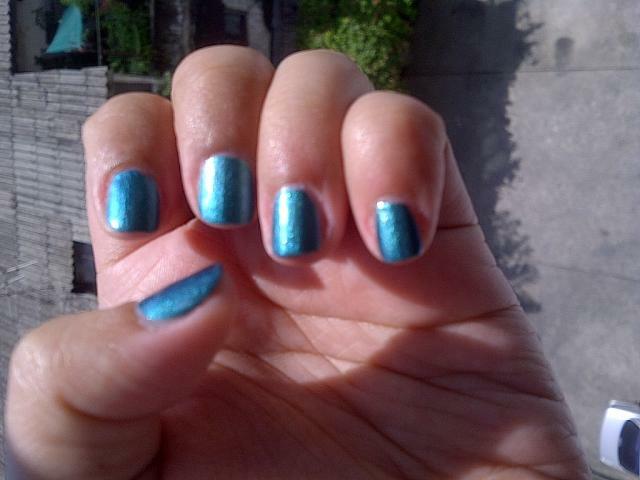 Revlon Ocean is actually a duochrome. 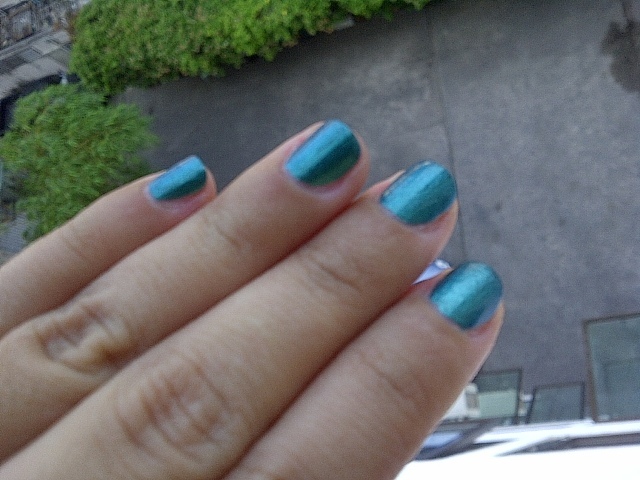 It looks bright green with blue undertones, or shall I say, teal. It’s hard to capture it in my camera, though. What I like most about it is that the colour makes my hand looks brighter and fairer. I was happy to get this colour. First Impressions: I’m always on a quest for fast drying nail polish so I was enamored by its “Top Speed” name. I kind of liked the silver brush handle which gives it a more chic look. Consistency: Not watery nor thick, it was easy to manage but I had to act fast because it does dry quickly. True to claim? : It dries fast so I have to be quick in my application. I don’t know why bubbles formed, though. Or perhaps, there was a fan when I did my nails? 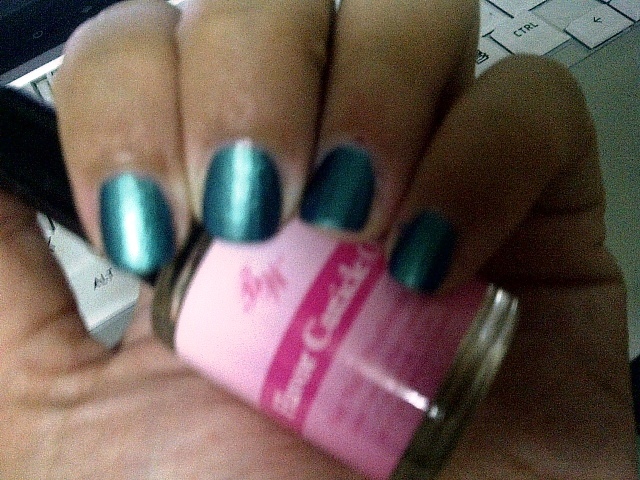 One coat of Ocean looks opaque enough but I suggest for a double layer to make the nail polish last longer. I didn’t know that no top coat is needed so I still used one. 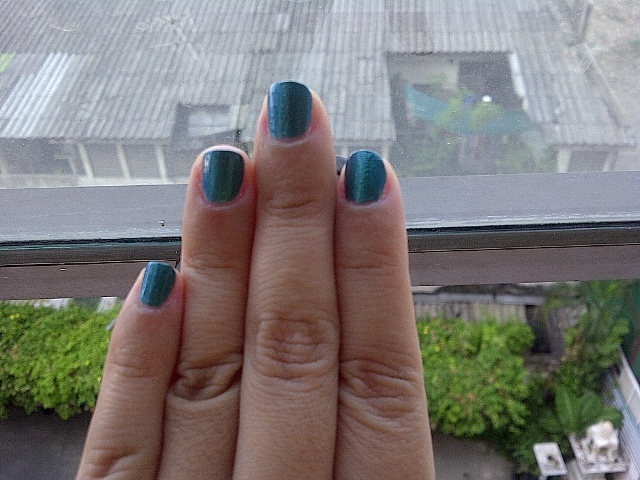 Durability: I changed my nail polish after three days even though there we no signs of chipping yet. Availability: Revlon can be found in leading drugstores and department stores here in Thailand. I have seen the Ocean variant in a drugstore and two department stores I recently visited. Will I purchase again? 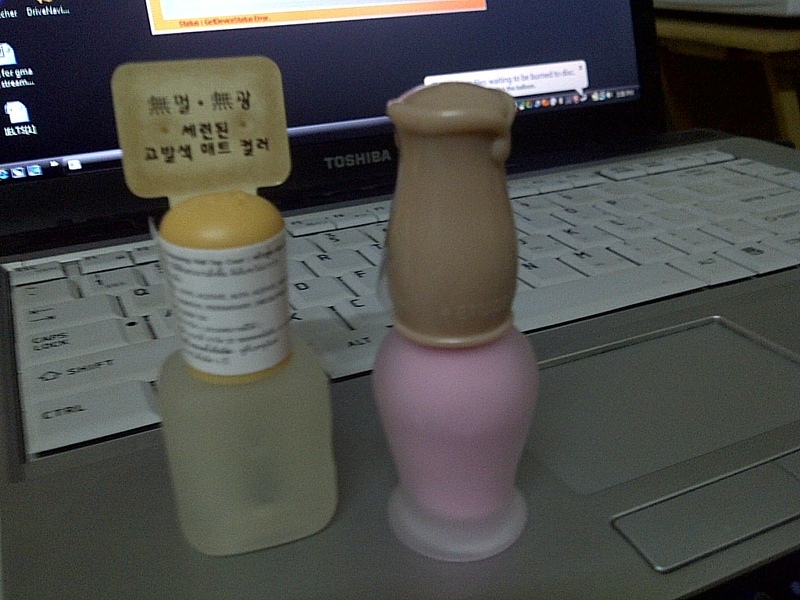 : I got two more Revlon nail polish and I will definitely repurchase new colours next time. 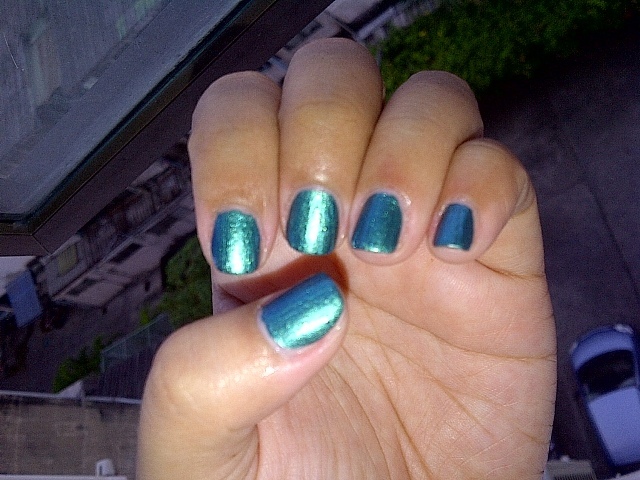 Two days after my manicure, I experimented to see how the shimmery Ocean would appear with a matte top coat. 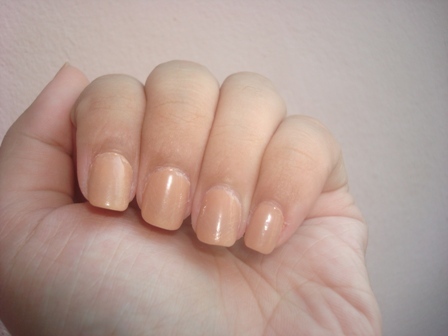 So, I used a layer of my Skinfood Gunnpang Nail over it. … and I loved it! 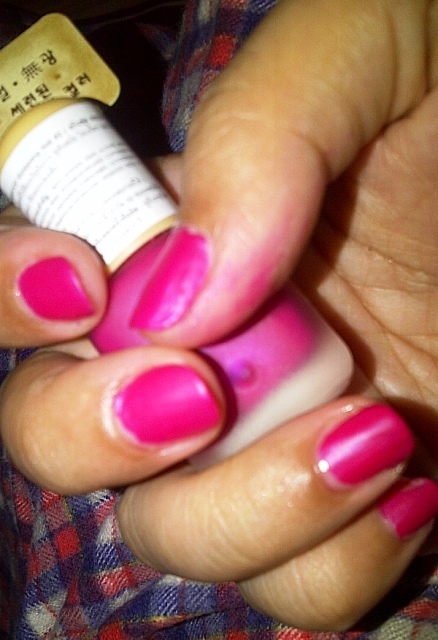 Applying a matte top coat gave the colour a different shade. Does it look more of a moss green colour? 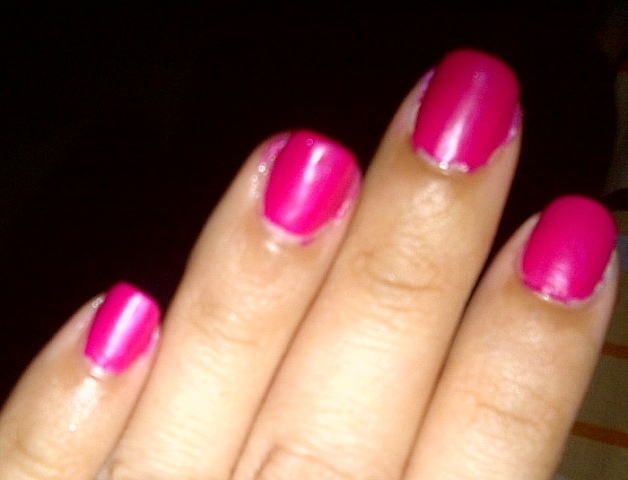 Nail polish is love! Are you into Revlon nail polish as well? What’s your favorite so far? Care to share? I’ve been shopping so much these days and just to give you a break from my haul posts, I’m showing you the freebies I got instead of the products I bought 🙂 Call me weird but sometimes I get more excited with the samples and freebies I get from my purchases. 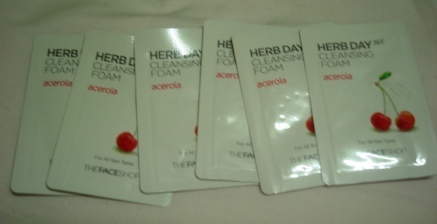 Samples are also great when I travel. Instead of lugging bottles and bottles of products on a trip, I bring the samples with me. Of course, it’s a good marketing ploy, too 😉 I have already bought full-sized products after trying out the samples given to me. So, at Skinfood… I got …again… three bottles of nail polishes (matte and glittery ones), foot masks, trouble clear spot patch and a pair of falsies ( I don’t know why I got falsies for I don’t even know how to wear them) and I was given a few samples. 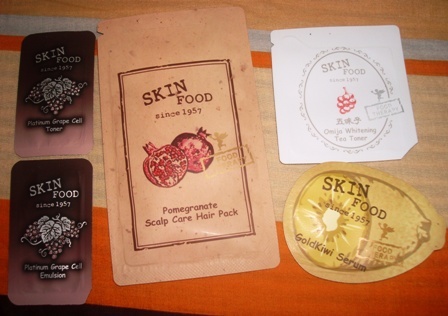 Among the samples, I am excited to try the Pomegranate Scalp Care Hair Pack the most since I want to strengthen my hair and lessen hair fall. I hope it works because I am planning to get the full-sized shampoo and conditioner which are quite expensive at around USD30 each. 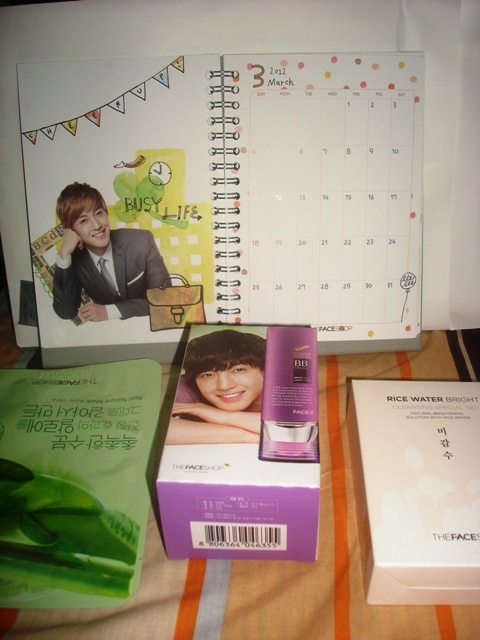 Saying that I love The Face Shop is such an understatement! 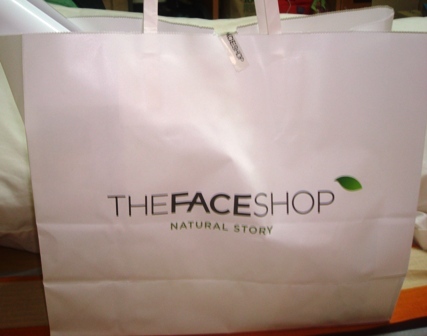 This is one shop that I can’t resist.The Face Shop’s skincare products suit my skin and I like their makeup and other goodies, too. 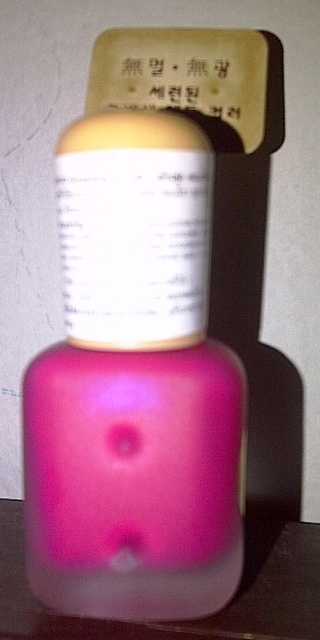 So everytime a visit a shop, I just have to get something, even just a bottle of nail polish. 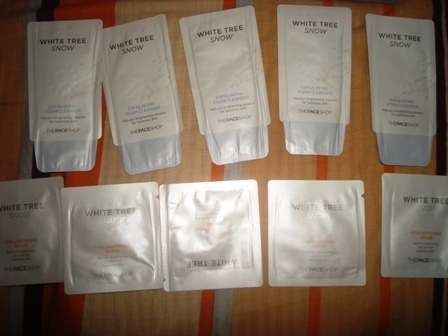 My favourite The Face Shop branches are in Siam Paragon and Central Rama 3. The sales attendants are friendly and pleasant to deal with. 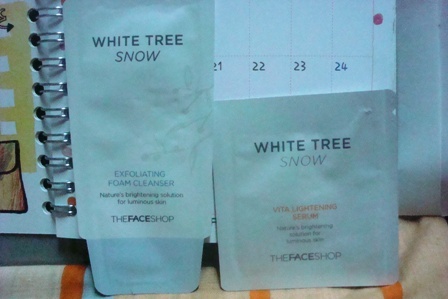 Last weekend, I went to The Face Shop twice! I went to two branches with the purpose of getting just nail polishes… again… and cleansing tissues but I left the two shops with MORE! 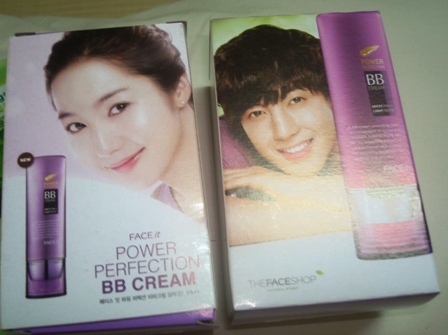 For the two days that I shopped at The Face Shop, I got a body lotion, BB cream, nail polishes, cleansing tissues, eye liner, cleansing oil, and nose packs. Oh there’s a promotion at The Face Shop that entitles one to get the freebies and gifts with purchases starting from THB800. 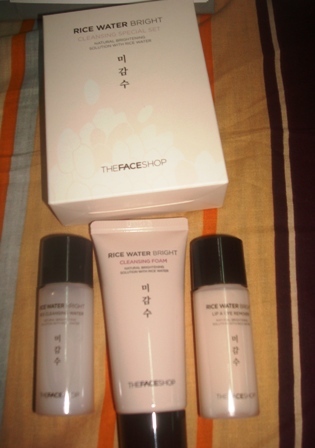 You can check out The Face Shop Thailand’s Facebook page for more information on promotions. 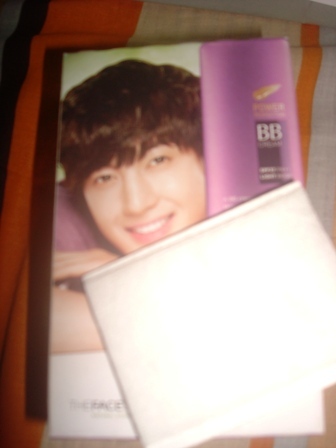 … and yes, there’s a poster, too 🙂 I will just do a separate post for the pictures of the calendar and the poster, just in case there are Kim Hyun Joong fans out there who are interested 😉 Shopping is twice the fun with freebies and gifts, eh? Do you love samples and freebies, too? 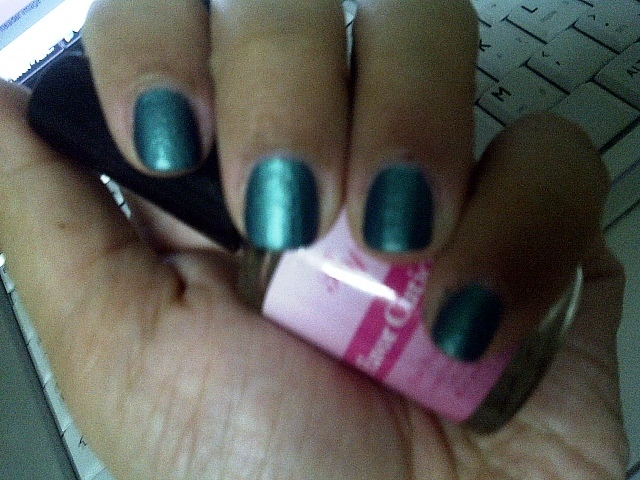 After using glitters and shimmers and whatnot on my nails, I realised I haven’t tried matte nail polish yet. I’m not sure if they sell essie matte about you here in Bangkok so I decided to do a quick google on other matte nail polish. 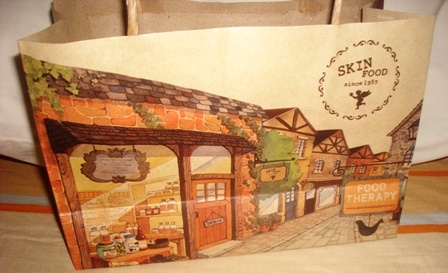 I discovered that the Korean brands, Etude House and Skinfood carry them. I went to Etude House first and their price here always shock me, it’s even waaaaay cheaper in Etude House Philippines (what more in Korea). Since I was curious, I decided to get just a tiny bottle of matte pink nail polish since their topcoat is mooore expensive so I go the coloured one. 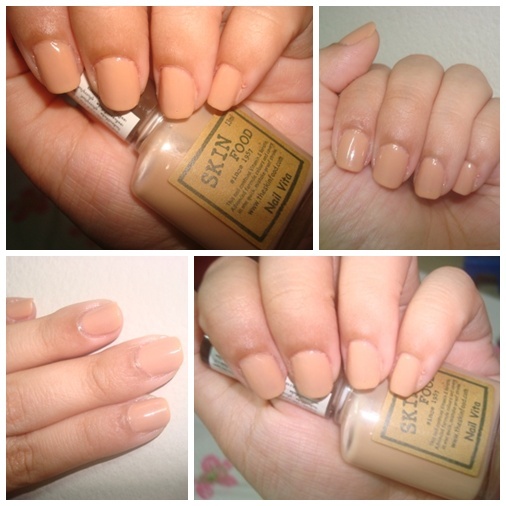 When I went to Skinfood, they sell the matte top coat in the Skinfood nail polish line called “Gunppang Nail”. 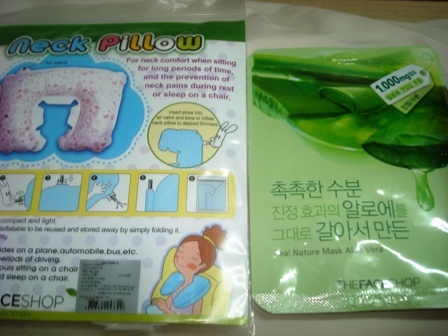 It is cheaper than the pink nail polish at Etude House. I just got both today and I’ll put the matte nail polish a little later. Sorry I have no swatches yet. Do you like matte nail polish?